This itinerary exposes you to various essential aspects of Japan from cities, culture, history, and more! Visits include Tokyo, Hakone (Mt. Fuji area), Osaka, Hiroshima and Kyoto. Begin your journey in the fascinating city of Tokyo and enjoy the myriad of sights, sounds, and tastes it has to offer. If Tokyo's concrete and neon is getting to you then you might like to head north to Nikko or south to Kamakura, both easily accessible from the capital as day trips. Continue on to Hakone, where you can spend your time taking in the sights or simply relaxing in one of the superb natural hot spring baths. Continue on to the vibrant modern city of Osaka where you'll enjoy a unique Izakaya experience - allowing you the opportunity to take in the Osaka philosophy of 'kuiadore' - eat, drink and enjoy life! Next your off to Hiroshima where you'll have time to explore the city and nearby Miyajima independently. End your journey in Kyoto, the ancient capital and true heart of Japanese history and culture. 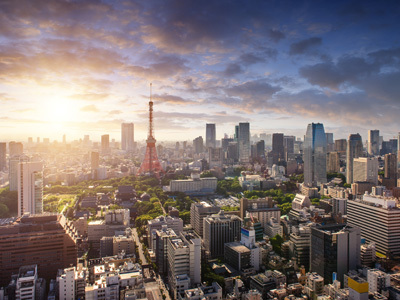 One quarter of all Japanese live in Tokyo or the near vicinity and with a population of over 12 million inhabitants, Tokyo is one of the largest cities in the world. With its huge skyscrapers, underpasses, overpasses and crowds of pedestrians, Tokyo may not seem the most attractive city on the surface, but the city has a vibrant charm all of its own. The street level detail is what makes Tokyo such an incredibly interesting place to explore and at every turn you will be met with an array of sights, sounds and smells to enliven the senses. The city has many major sights to visit such as Senso-ji Temple in the old downtown area of Asakusa or the fashion hub of Shibuya from where all new trends are said to emanate. All in all a stay in Tokyo is to experience one of the world's most vibrant and interesting cities; a capital hurtling headlong into the future while maintaining its links with the traditions of ancient Japan. You will be provided with Manaca cards today, Nagoya’s version of the IC card. You will be able to use this throughout your time in Japan for traveling on buses, subways, overground railways and in some places you will even be able to pay for taxis, buy drinks from vending machines and pay for your bento in a convenience store! Your card comes with 2,500 yen of credit and can be topped up in any major city at the automatic ticket machines at any station. And don't worry - instructions in English are provided! We are sure you will get great use out of this during your trip and can have that satisfying feeling of travelling like a local! All in all, an essential accessory for any visit to Japan. In your package, we have included the 14 Day Rail Pass (Ordinary Car). This pass entitles you to unlimited travel on any trains in the extensive Japan Railways (JR) Network. This includes all of the famous Shinkansen "Bullet" Trains, with the exception of the Nozomi Shinkansen. You will receive an exchange voucher, which must be exchanged for the pass itself, once you have arrived in Japan. Full details of when and how to do this will be provided with your travel documents. You can also use your Rail Pass to make seat reservations for no extra charge. However, this cannot be done until you have exchanged the voucher. Tokyo is one of the world's most vibrant destinations, where exciting sights, sounds and tastes are waiting to be discovered around every corner. Today, you can enjoy the freedom of exploring Tokyo's treasures on you own. The city is made up of various districts, each with its own distinctive flavor. Asakusa is the old town area, which boasts Tokyo's oldest and most beautiful temple, Senso-ji, in the heart of the town. The Ginza, nestled in the very center of the city, is a true shopper's paradise. With trendy boutiques and department stores nestled between world renowned restaurants and European style cafes, the atmosphere is buzzing. Shibuya, promises Tokyo's most fun and youthful spirit. 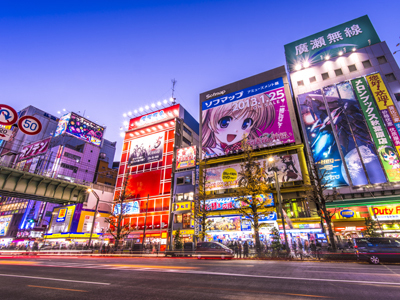 Attracting a lively mix of students and young professionals to its bars, restaurants, manga shops and night clubs, this area is always flourishing with activity. Just down the tracks, you will find Shinjuku. Decorated with soaring skyscrapers to the west of the station, and endless neon lights to the east of the station, it is one of the city's premiere entertainment areas. Shinjuku is what many people think of when they imagine Tokyo, and therefore this iconic district is not one that should be missed! In the center of the city, close to the famous Tokyo Tower, you will find Roppongi. This is the after hours playground of the city's expat community, teeming with clubs, bars and restaurants, ranging from the elegantly upscale, to the street-side kebab shops and yakitori. Today, you will take the Shinkansen from Tokyo to Odawara Station, the gateway city for the Hakone National Park. You will use your Japan Rail Pass for this journey, which will take just 40 minutes. From Odawara Station, you will use your Hakone Freepass to take the bus up into the mountains of Hakone. Admire the charming scenery, as the road winds through several small mountain villages towards your hotel. For your time in Hakone, you will be provided with the 2 Day Hakone Freepass. This pass is valid for two days from today and entitles you to unlimited use of 6 different forms of transport in the Hakone region. These include the mountain buses and railway, one of the longest cable cars in Japan, a funicular railway and even a pirate ship that cruises across Lake Ashi! Between all of these different options, you will be able to easily explore the entire region and make the most of your stay. The pass also offers small discounts at many attractions in the area, so be sure to show your pass when purchasing any tickets! Hakone is a beautiful National Park region nestled beside Mount Fuji, Japan's most sacred peak. The area showcases a handful of small villages and hamlets, all connected by a variety of local transport routes that wind through the charming hillsides and valleys. Hakone offers plenty to see and do, from tasting eggs boiled in volcanic waters, to boarding a boat cruise across Lake Ashi. The outdoor sculpture park and Picasso gallery is a great place to spend a unique afternoon. An enticing dip in one of the famous therapeutic hot spring baths is always a good idea as well! However, it is Hakone's close proximity to the iconic Mount Fuji, that truly makes this destination so popular. With its near perfect symmetrical form, soaring through the sky above the surrounding hills, it is an attraction that makes a trip to Japan complete. From Hakone, you have one of the best chances to admire Mount Fuji's epic beauty, although she is a notoriously shy mountain! The Hakone region features an idyllic blend of scenery, culture and history. The classic circular sightseeing loop offers a great way to explore the area's best attractions, including beautiful Mount Fuji viewpoints, a scenic boat cruise on Lake Ashi and the Hakone checkpoint, which highlights the region's rich history. You may also want to venture off the classic sightseeing route, to visit some of Hakone's fascinating museums and unique art displays. Or perhaps, you would rather treat yourself to a relaxing soak in one of the local hot-spring baths. Do like the Japanese do, and make the most of this natural attraction, enjoying a day of pampering yourself in the famous pristine waters! Following a lovely stay in Hakone, you will use your Hakone Freepass to make the journey by bus down from the mountains to Odawara Station. From Odawara, you will use your Japan Rail Pass to take the Shinkansen to Osaka. This journey will take you racing down Japan's eastern seaboard by Shinkansen and will take a little over 2 hours. Osaka is an extremely vibrant and lively place to stay in Japan. There may not be any real 'tourist' sights but it is just the life on the streets that makes Osaka such a fascinating city to visit. Osaka people work hard and play hard and it really shows with the vast number of restaurants, bars and all round entertainment available. The city aquarium is world class and you cannot stay in Osaka without taking a ride on one of the city's several giant big wheels, perhaps the most dramatic of which is perched on top of the Hep 5 department store in the Umeda district of the city - just don't look down if you are afraid of heights! Osaka Castle is well worth a visit, despite being a reconstruction, as the original was burnt down during the firebombing at the end of World War II and you will find a variety of very interesting museums scattered throughout the city. After dark, Osaka really comes alive, and a walk through the bright lights of the Namba district is a great way to take in the atmosphere, with some great people-watching opportunities. With literally thousands of restaurants, bars and entertainment spots to choose from, Osaka is perfect for a big night out, some hearty local food and the chance to let your hair down. Osaka really is one of Japan's truly all action cities and a stay here is a chance to experience what life in modern day urban Japan is really like. Today, you will be free till the evening to explore Osaka! Osaka has recently been voted the world’s top city for food by several newspapers and it won’t take you long to discover why. As well as several Michelin star restaurants, Osaka boasts fantastic and inexpensive street food. Down to earth Osakans are rightly proud of their cuisine. Be sure to try takoyaki or octopus dumplings! Once you've had your fill of all the food Osaka has to offer, you could make your way to the city's towering replica samurai castle and spend some time exploring its sprawling grounds. The castle building hosts a brilliant museum with a great introduction to Japan's feudal history, with a large amount of the exhibits in English. The top tower of the keep also affords you great views across the gardens and city. Tonight, you will be met at your hotel by a resident guide named Ayako Kiyono, who will take you on a private street food tour of Osaka's exciting Nanba district. As a local himself, he will be able to introduce you to the area's best kept secrets. Your first stop on this delicious adventure will be the famous Dotonbori 'restaurant' street in the heart of Nanba. 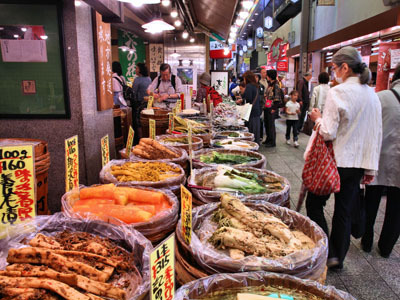 Famed for its incredible variety of culinary options, Dotonburi is known as a food paradise throughout Japan. An impressive selection of eateries and bars line the neon illuminated street from left to right, from basement to buildings, 8, 9 or even 10 stories high. Hole in the wall takoyaki stands and street side ramen bars sit next to upscale eateries serving the finest wagyu beef. Everywhere you look, people, young and old, are out to enjoy the culinary pleasures of the nation's most famous restaurant district. This is where Kansai people come to cheer on their local sports team, or any other excuse to celebrate! From Osaka, you will travel further down the east coast of Japan, to the charming city of Hiroshima. You will use your Japan Rail Pass for this journey, beginning from Osaka Station, with a quick a two minute ride across the river to Shin-Osaka, from where the Shinkansen departs. Upon arrival at Shin-Osaka station, you will need to follow the transfer signs to the Shinkansen. If you haven't already made a ticket reservation, you can do so at any of the ticket offices within the station. Although you cannot travel on the Nozomi Shinkansen, the fastest of JR's impressive fleet, you can take the Hikari Rail Star from Shin-Osaka. This 700 Series Shinkansen offers first class standard seats for all passengers with seat reservations, but without any additional supplement to pay. Of course, if you do not have a seat reservation, you can travel in the unreserved carriages. Your Info-Pack will include all of the information you will need regarding the departure time from Shin-Osaka. Total time for the 212 mile journey to Hiroshima is just 90 minutes. En-route, look out for the beautiful Seto Ohashi Bridge and Himeji Castle, from the left hand windows of the train. Hiroshima is a city that needs little introduction. It is, of course, notorious as the site of one of two atomic bombs dropped on Japan at the end of the Second World War. Despite its tragic past, Hiroshima is now a bustling and vibrant city, which has risen from the ashes. The Peace Park and Museum are a poignant reminder of the reason for Hiroshima's fame and everyone should spend an afternoon in this part of town. 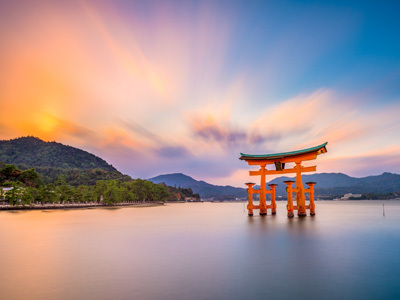 Other attractions in Hiroshima include the charming Hiroshima Castle, the pristine Shukkei-en Gardens and the Hiroshima Prefectural Museum of Art. Make sure to sample the popular local food, "okonomiyaki", which literally means, "what you like". You select your own ingredients and cook the cabbage-based pancake-style dish yourself, over a hot plate at your table! From Hiroshima, you can easily make a half day excursion to the scenic island of Miyajima, set in the Inland Sea National Park. Miyajima is famous for its 'floating' tori gate at Itsukushijima which is ranked as one of Japan's 'top three sights' and is a World Heritage site. You'll get your first glimpse of this as you take the ferry to the island. Other highlights include taking the scenic cable car to the top of Mount Misen for sweeping views of the whole area as well as the chance to encounter some of the native monkeys! There are a number of nice shops near the port. From Hiroshima (city center or train station) you can take a tram or train to Miyajima-Guchi Station and hop on a ferry there. Details will be provided with your Info-Pack. You will board a Shinkansen train at Hiroshima Station and head east to Kyoto. Journey time is around 2 hours. Kyoto is one of the most culturally rich cities in all of Asia. Home to 17 UNESCO World Heritage sites, over 1,600 Buddhist temples and 400 Shinto shrines, this ancient city showcases the heart and soul of traditional Japan. Kyoto boasts a variety of world class gardens, majestic festivals and delicate cuisine, which collaborate into something truly beautiful. The colorful changing seasons, feature a different adventure in itself, during every time of year. At first glance, Kyoto appears to have its fair share of neon and concrete, typical of large Japanese cities. However, you will quickly be able to pick out Kyoto’s charming treasures - sacred shrines tucked between shopping arcades, time-honored tea houses nestled amidst modern businesses and mysterious geishas scuttling down backstreets between tourists. Today, you will embark on a unique private tour, which will teach you the basics of Japanese ingredients and shopping, as well as some special cooking techniques. You will meet your guide at the north entrance of the Daimaru department store, from where you will first take a guided walk of the famous mile-long Nishiki covered food market. As you stroll through the stalls, your guide will explain all about the various market stands and shops and the numerous ingredients on sale. They will also help you to pick out and purchase food to use later in the day. Please note that there is a small extra cost for these ingredients, which will need to be paid for on the day. Today, you may be interested in taking a day trip to Nara. This city lies just 40 minutes by local train from Kyoto and is renowned for the wealth of its Buddhist and Shinto heritage. Formerly, Nara was the end of the Silk Road, making it the first area to see Buddhist teaching transition across the ocean from China and into Japan. In 710, Nara became the first permanent capital of Japan, during which time the large monasteries rapidly gained in political power and influence. This resulted in frequent bloodshed, as the different sects fought for supremacy and power. It was because of this, that in 784 the capital was moved away from Nara, in order to protect the position of the Emperor and the central government. 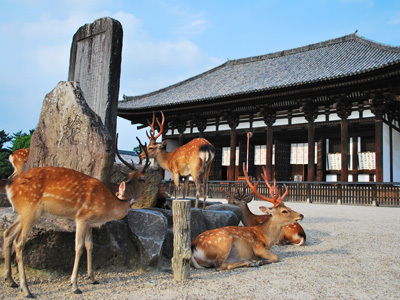 Today, Nara retains many dramatic attractions as reminders of its former power and influence. The huge wooden structure that houses the Big Buddha, is the world's largest wooden building, despite the current structure being even a third smaller than the original! The myriad of shrines and temples are set against a beautiful backdrop of low lying mountains. In the midst of the Nara Park, which is famously home to a vast population of pesky deer, you will find these furry friends wandering about town, completely unfazed by tourists. Although given the chance, they will gladly munch on anything can get their noses into, so beware! Trains run regularly between Kyoto and Nara starting shortly after 5:00 AM and continuing until late in the evening. Sadly, the time has come to say sayonara to Japan! From Kyoto, you will board a Shinkansen headed east to Tokyo, where you will change to an express train en route to Narita Airport. This transfer will take around 4 hours in total. From Narita Airport, you will connect with your international departure flight. We hope you had an amazing adventure in Japan and we wish you safe and happy travels home! Designed by Piero Lissoni, an internationally renowned Italian designer, the stylish Mitsui Garden Hotel Ginza represents a sophisticated and tranquil retreat in the heart of Tokyo. The interiors and suites of the hotel were designed in rich earth-tone colors to provide a sense of calm and relaxation in contrast to the urban backdrop of the push and pull of Tokyo. Furthermore, The Mitsui Garden Hotel Ginza is the only high-rise building hotel in the Ginza area of Tokyo, providing fantastic vistas of the skyline, especially at night. Simple pleasures of enjoying an evening bath take on new dimensions when gazing down onto the city nightscapes of Tokyo. The location of the hotel will also allow you quick access to major tourist and city attractions of Tokyo, including Roppongi and Odaiba. Kansuiro Ryokan in Tonosawa, Hakone, was founded in 1614 in the Motoyu hot springs area of Hakone - one of the seven major hot springs in the area. With just one step into this Ryokan, you can feel its rich sense of history. Surrounded by artifacts related to the imperial family and calligraphy from artisans of the past, you will truly be able to indulge in this treasure house during your stay. You can experience the romantic atmosphere of the early 20th century by the charming design and detail. Kansuiro Ryokan is famous for its architecture of a four story wooden high rise construction, which many architects and artisans come to admire for its structural technique. The open-air baths on property are situated on a hillside where you are nestled amidst the beautiful scenery of the Hayakawa river, Mt. Hakone and the mountains nearby. All of the baths are Kakenagashi-style, which means the spring water is not recycled and only comes directly from the spring source. The Cross Hotel is a smart hotel is located on Dotombori, one of the most famous and lively streets in all of Japan never mind just Osaka. The hotel has been recently refurbished in a sleek, modern design, giving it something of a boutique feel. Rooms follow the same theme and are generously sized. The hotel's great location means you have a plethora of restaurants and bars to choose from in the streets around the hotel, making it a perfect place for indulging in one of Osaka's main attractions; good food and drink. Despite its lively location the hotel itself is a quiet and peaceful place, so should you be looking for an early night you will not be disturbed. Hotel Granvia is conveniently located near the Hiroshima rail station. The property offers well sized, modern and comfortable guest rooms with all the necessary amenities for a pleasurable stay. The Peace Park and Museum are a short tram ride away and Miyajima Island is also easily accessible from here. The hotel also features a number of restaurants with a variety of cuisines for your enjoyment. With its elegant accommodations, including 535 beautifully decorated rooms, there is simply no better place to stay in Kyoto than the Hotel Granvia Kyoto. 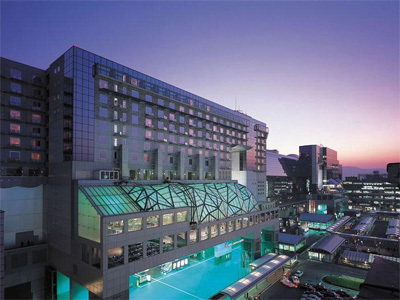 Hotel Granvia Kyoto is an integral part of the architecturally striking masterpiece, the JR Kyoto Station Building, which also includes a department store, museum, musical theater, and a vast underground shopping mall. 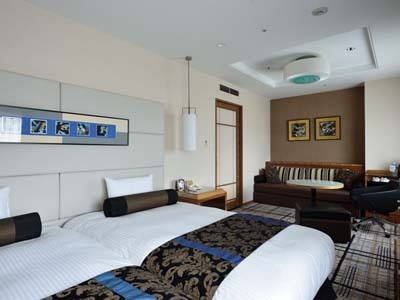 Moreover, with 13 meeting and banquet rooms including a ballroom that accommodates up to 1400 for seated events, as well as 13 restaurants & bars and fitness facilities, the hotel is perfect for both leisure and business visitors to Kyoto. This is just one of many authentic travel experiences offered by Global Basecamps. 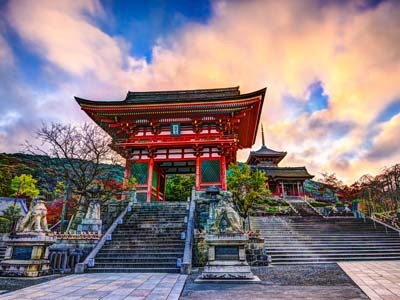 If you are interested in even more unique destinations to Japan with unprecedented planning and extraordinary service visit our main Japan tours page to browse other sample trips.